Mary understands that not everyone can run, and indeed not everyone wants to run. 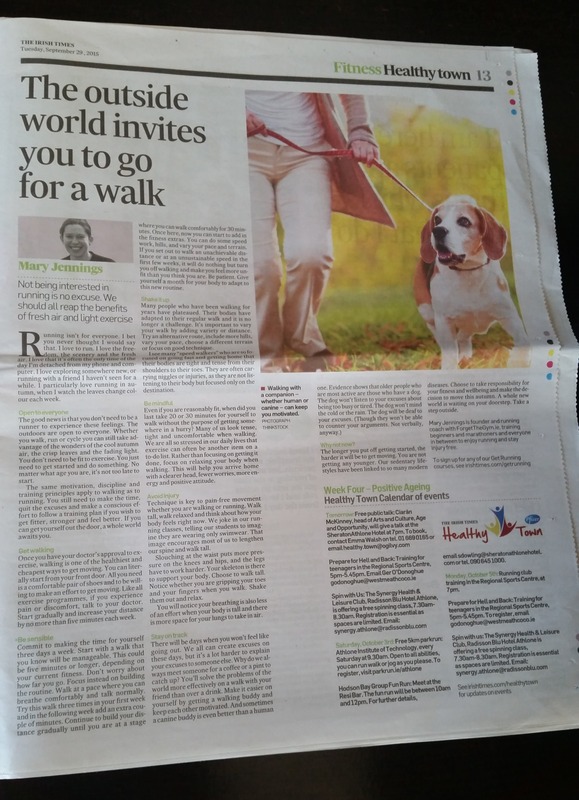 She gives some tips on how to get moving and out the door for a walk. This article first appeared in The Irish Times in September 2015. You can read the full article online here.